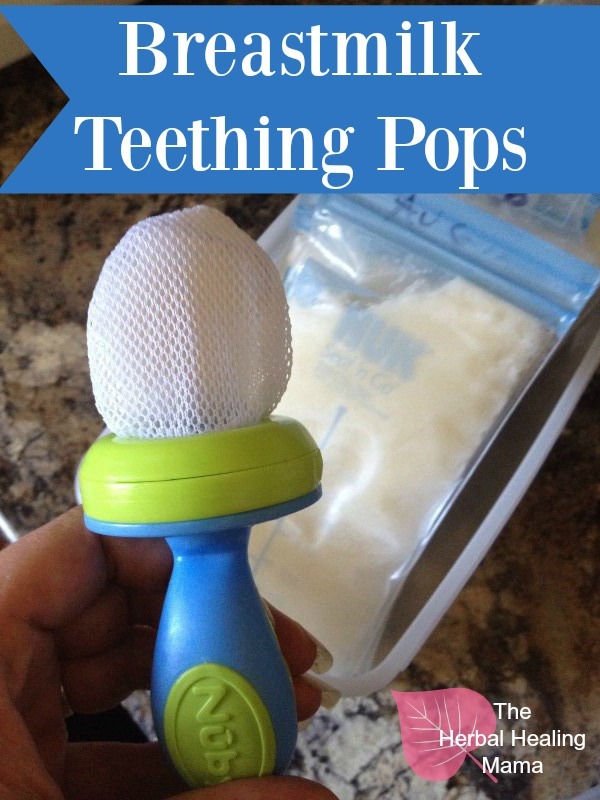 Teething pops made from Frozen Breastmilk. 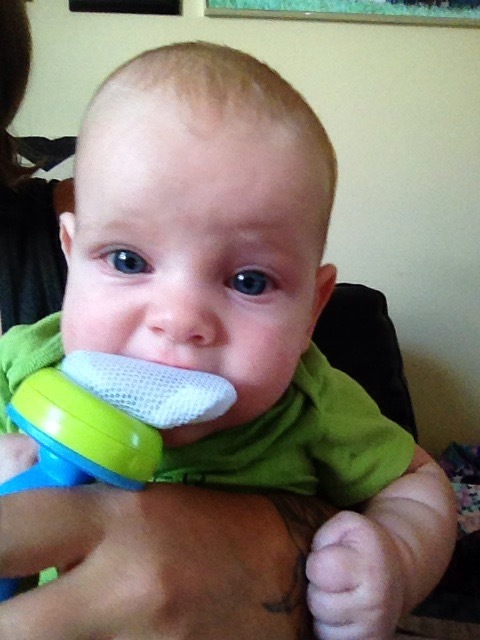 Babies can begin teething quite early on. Both my boys started at 3 months!! At 3 months there isn’t much you can do in the way of teething help, aside from chilled teething rings which get old quickly in our case. Once they’re a little older, you can chill chamomile tea in wash cloths and refrigerate them, or use a Clove teething mix, etc. 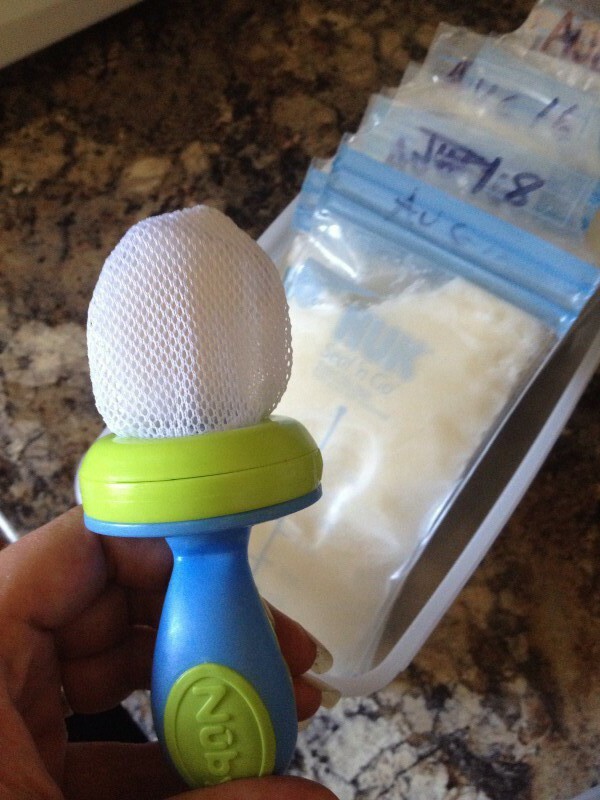 Water is toxic to such small babies so I was trying to come up with a solution to help the little guy out that wouldn’t involve any meds. And she swears by them. So I thought, why not break a chunk off and throw it in the nibbler. 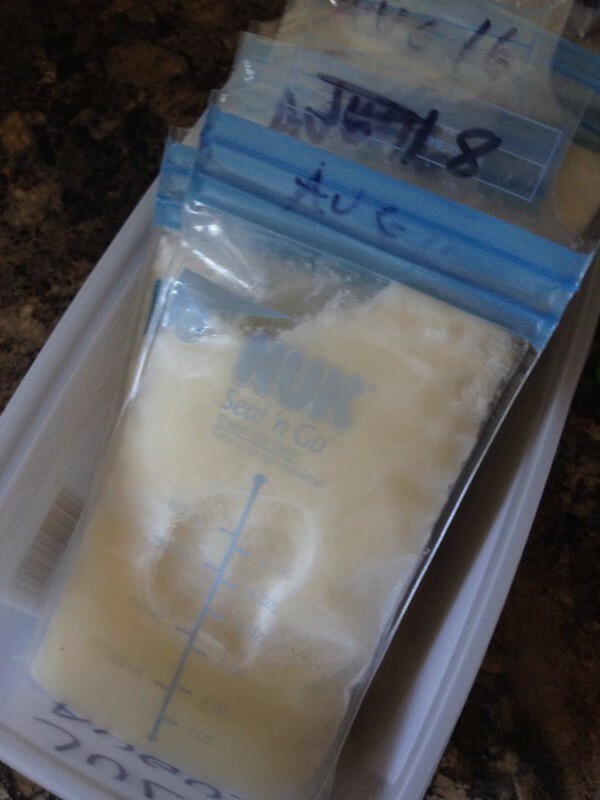 I suppose if I had of thought of it sooner, it would make more sense to freeze the Breastmilk in small cubes ahead of time but this certainly did the trick! He LOVED IT! & it stopped him from crying and or chewing on his fists for a few minutes! 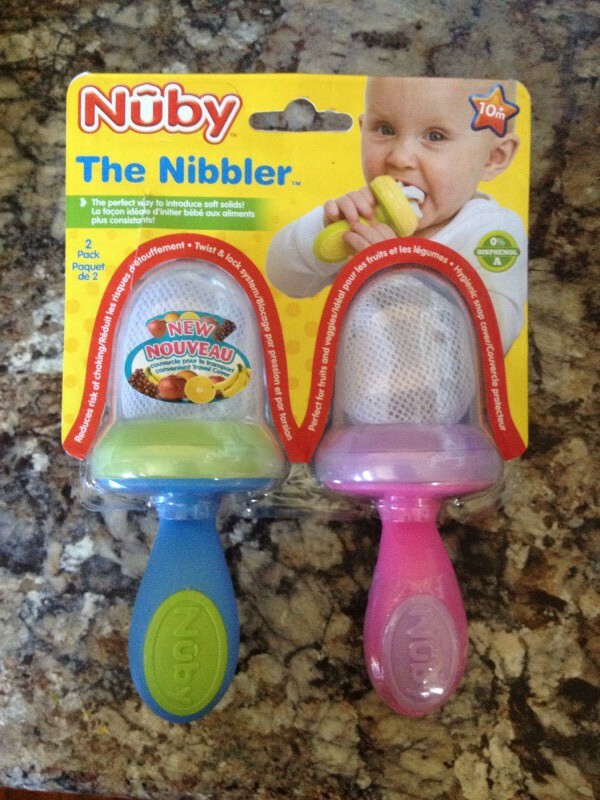 It seemed to really help relieve some of the teething pain! 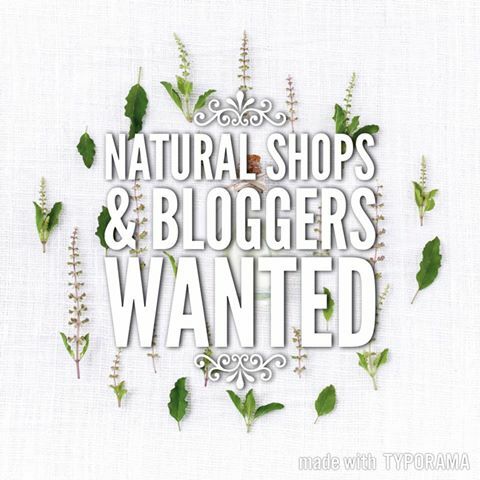 What are some of your natural teething relief tricks?